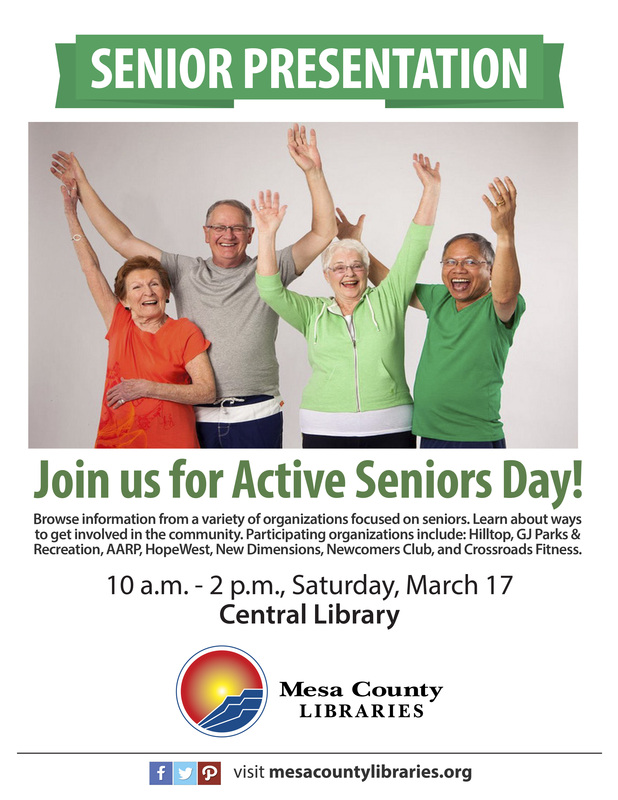 If you’re a senior — or know someone who is — you’ll want to stop by the Central Library this Saturday for Active Seniors Day! Active Seniors Day, which happens from 10 a.m. to 2 p.m. Saturday, March 17, gives seniors a chance to learn more about their community. It takes place at the Mesa County Libraries Central Library in downtown Grand Junction, 443 N. 6th St. The public is welcome to browse information from a variety of local organizations focused on seniors, listen to short presentations, and learn about ways they can get involved in the community. Active Seniors Day is open to the public at no charge. We look forward to seeing you there!